A circuit of the main features of the newly planted Queen Elizabeth Diamond Jubilee Wood. 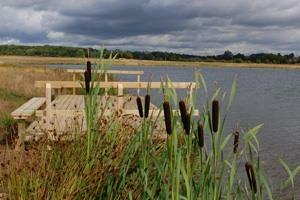 Includes lake, bird hide, art features and ancient woodland. Mainly on gravel and grass paths over rolling countryside.